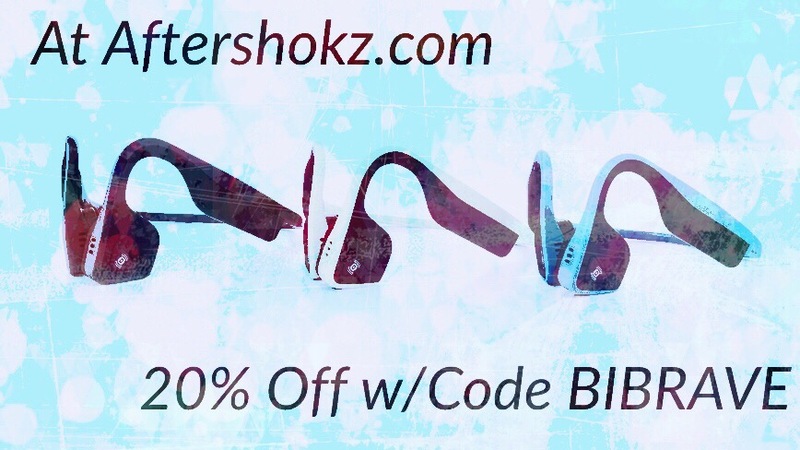 Over the past few weeks, I have been blitzing my readers with messages about AfterShokz Trekz Titanium Headphones (and for one last time, save 20% with code BIBRAVE at their website) as part of a testing of the product with Bibrave – I am am ambassador which allows me to test new products from time to time. Tuesday night’s chat was a culmination of this activity for one particular product and the given products company was the sponsor… AfterShokz! I myself have a foam roller – in fact I have a foam roller and a 2 sticks! And guess what? I never use them! It is appalling really because I have enough bumps and bruises at the end of my runs or even the following day that I should be taking advantage of these! So starting today, I will “make it done!” Another lesson learned even though I already had an answer all along. As for the chat, here is the breakdown of last night’s discussion. Where does one find running info? Great question asked and my answer is simple: the likes of Runners World for about half my info and the other from my “peeps” in the twitterverse! The info from those who are running is so invaluable because they “are on the ground” testing products, strategies, eating certain foods and finding out what works and does not work! Chats provide that medium for me and last night was no different! A few other good answers I noticed were running stores (very good source), fellow BibravePro’s and books (I am a big user of audible for my books). Listen to your body or push through pain! I have the type of personality that attempts to push myself no matter that pain I am feeling at a given moment. Probably not the best strategy to employ but it is the way I do things. Most of the chatters take the other side and there is nothing wrong with such. Probably means they recover more quickly than I! Audio and safety! So a discussion of what people listen to while running came up. I am an audible guy as I have mentioned numerous times. With the addition of the Aftershokz to my gear, I have added an extra level of safety as I can hear the books while also being fully aware of those around me. As for other runners, music came up as well as earbuds and most indicted while wearing such, they turned them down so they could hear traffic – something the Aftershokz cures! Gear ex-GPS! So what do I rely on most other than my GPS? My three items include the GPS enabled Garmin 235 but that same device also measures my HRM and cadence, which by the way, is my most important tracking element as my performance goes up and down with the levels of cadence. My Aftershokz are also a must with my iPhone finishing op the gear! Previous Post Want to be a BibRavePro? Next Post 5 for Friday: Not being slowed down by Pain & running with the Cliftons!